This is an amazing opportunity to own a beautifully remodeled home on a premium lot that backs to a community park with mountain views and boasts income potential! That's right, Zoned R2B for two separate dwellings! The garden level basement has income potential of approximately $1000+/mo, equipped with a kitchen, large bedroom, bathroom and family room! The setting is ideal, situated on a 7579 square foot lot with Cushing Park out the back, close red hot SoBo restaurants and shops, public transport, light rail, schools and much more! This home is in excellent condition with a beautifully remodeled kitchen & bathroom, gleaming hardwood floors, new carpet & paint! Relax and enjoy the mountain views from the huge covered patio! 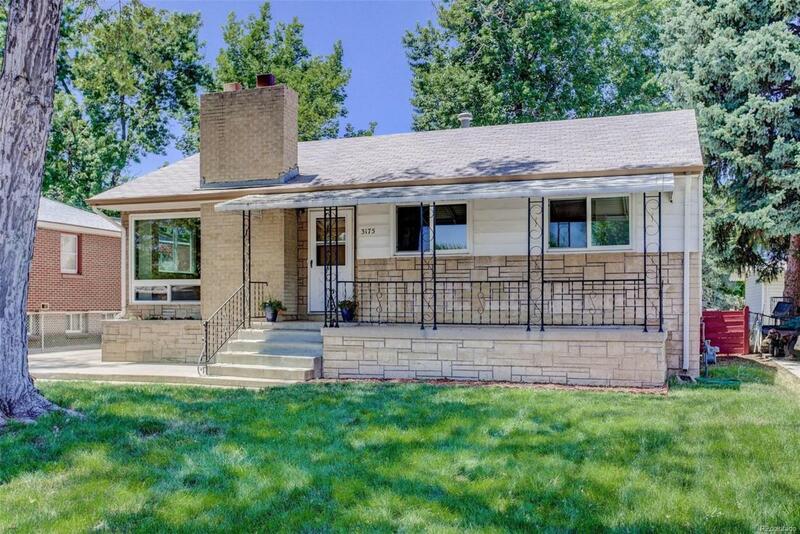 The future is bright in Englewood and the development potential for this home is great! Don't wait to see it!